It doesn’t get more official than this. 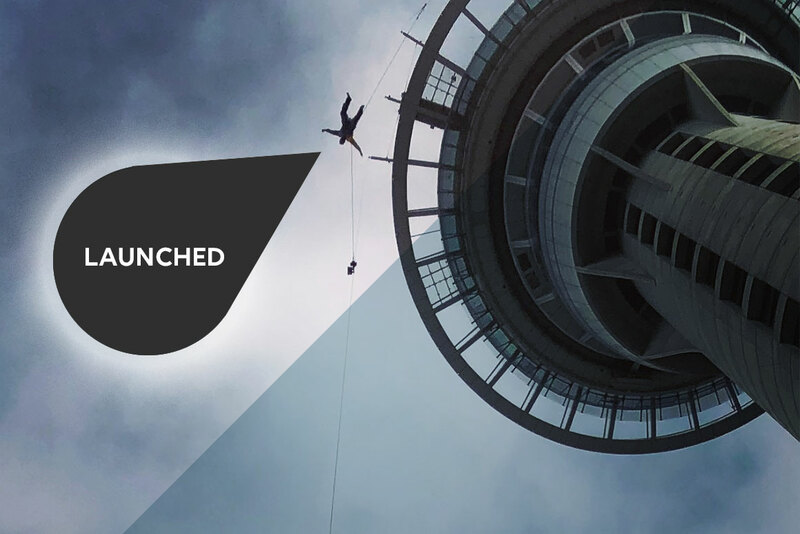 Skycity have marked the launch of their brand new intelligent safety management system by LAUNCHING the CEO of Donesafe, Matt Browne, off the southern hemisphere’s tallest building. That’ll show him for winning a key account in the entertainment space (although entertaining for us spectators – Matt Browne would use other words to describe it – see video below). The gesture was to highlight Skycity’s commitment to ensuring workplace safety for all employees, guests and partners. What is Skycity’s new intelligent safety system? Donesafe, a Sydney based online safety management software company that brings the power of cloud based artificial intelligence to businesses of all sizes. Donesafe will implement a new safety management system using its highly adaptable and automated platform to increase workplace safety and open up the safety conversations across all locations at Skycity. Together, Donesafe and the Skycity team will create an easy to use health, safety and environmental system that makes it simple for all workers to manage, respond and operate, from any device. Skycity will utilise Donesafe for a wide range of apps including Contractor Management, Workers Compensation, Incident Management, Reporting, Checklists, Audits and many more. Today, Donesafe is proud to announce that we have added Skycity Entertainment Group as a client. Skycity joins the growing client list of industry leaders at Donesafe, from small to medium businesses but also the larger Enterprise household names such as McDonald’s, IAG, NAB, Telstra, and many more. Donesafe’s award winning cloud based solution is one of the fastest growing end to end tech companies in the health and safety space and is considered a leading player in its industry. Skycity Entertainment Group being one of Australasia’s leading gaming and entertainment businesses owning and operating casinos in New Zealand and Australia, alongside a variety of restaurants and bars, luxury hotels, convention centres and Auckland’s Sky Tower. Skycity employs over 6,000 people who work across the five locations in Adelaide, Auckland, Darwin, Hamilton and Queenstown. Their six world-class casinos, three luxury hotels, over 50 restaurants and bars, public car parking operations, New Zealand’s largest convention centre and Auckland’s iconic Sky Tower will all use Donesafe as their chosen health and safety system vendor. Contact Donesafe today to discover what the leading safety, compliance and risk software looks like.